TAGUM CITY -- Cagayan de Oro cracked the elite five in overall medal standing among 27 competing regions after producing four golds and expecting more Tuesday, February 05, in the ongoing 2019 Batang Pinoy Mindanao Leg games here. After the Grade 5 pupil Ruelle “Tawing” Canino of Kauswagan Elementary School secured the first gold in rapid chess on Monday’s opening salvo of the multifarious meet followed suit the three mighty jins to make it four for the City of Gold in the company of reigning champion Davao City and Koronadal as South Cotabato and General Santos City occupied the first two spots with 9 and 5 gilts each. Young Hwan Lee and Carlos Pizana of Corpus Christi Grade School and junior bet Von Cedric Paler of Pilgrim Christian College breezed through the finals triumphant in their respective weight categories for taekwondo’s cadet sparring event. “It’s still a long way to go though. Certainly, happy kita nga naa sa top-5 ang CDO in the BP Meet’s early going. We expect more golds in taekwondo and then sa boxing sab nga nag-overall champion atong mga boksingero last year sa Oroquieta City,” said city sports chief Jaymar Rivera. 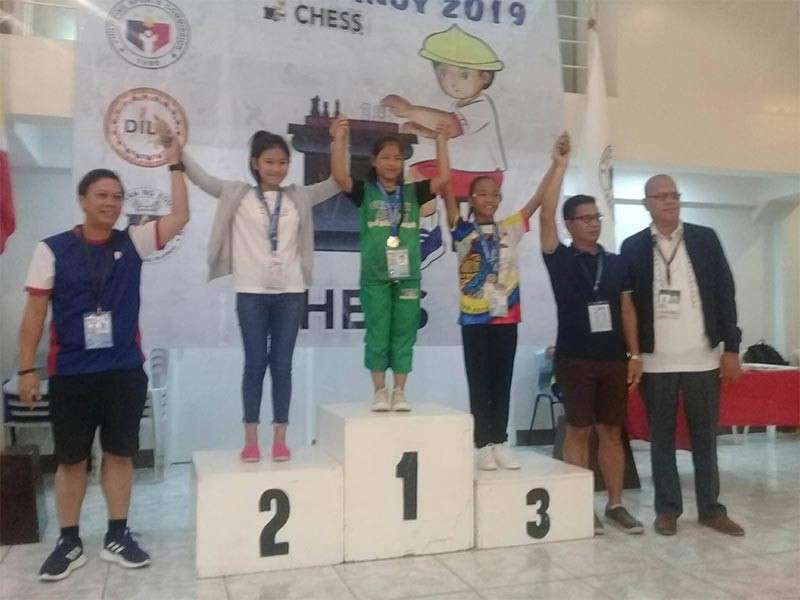 Over at the provincial capitol, the small but terrible Canino opened her second quest for gold with a first round victory in standard chess as well as her older sister Rhea, Lorebina Carrasco II, Santiago Lumancas IV and Clyde Saraus who also won their matches. “Maayo nga pagsugod sa (It’s a good start of the) standard event. Unta magtuloy-tuloy para madugangan atong gold sa chess (Hope it would continue so that more golds would be added in chess),” said coach Johnnel Balquin. Representing the LGU-Lagonglong, Cagayan de Oro pride Janiella Maeren Garcia took the silver in rapid chess behind Canino. Team CDO’s arnis players got a pair of silvers and a bronze as Mayor Oscar Moreno’s wards in contact sports and ballgames continue their winning ways in just Day 2 of the eight-day battle, featuring the best out-of-school and in-school students and athletes in Mindanao. On Tuesday morning, Cagayan de Oro’s volleyball and softball players won against their Davao Norte counterparts. The Oro ladies, after a crushing start opposite Sto. Tomas, 116-21 pummeled host Tagum City, 88-40 in secondary girls basketball. Unlike in Oroquieta where Cagayan de Oro sent eleven boxers to bag 9 golds for the overall supremacy, coach Elmer Pamisa said they have only seven entries this time around. “Wala `mi ka-prepare sa bag-ong format kay ginaug sa duha ka tuig ang age limit pero quality `ning pito nga atong gidala dire sa Tagum,” Pamisa told Sun.Star Cagayan de Oro. The Batang Pinoy Mindanao Leg is the first of three qualifying tournaments of the Batang Pinoy as part of the mass-based and grassroots sports development program of the Philippine Sports Commission (PSC). The Visayas qualifying leg will be hosted by Iloilo City from February 23 to March 2, while the third and last leg is the Luzon Qualifying on March 16-23 to be held in Ilagan, Isabela. Tagbilaran City in Bohol and Ormoc City in Leyte are still in a tug-of-war to become host of the national finals.